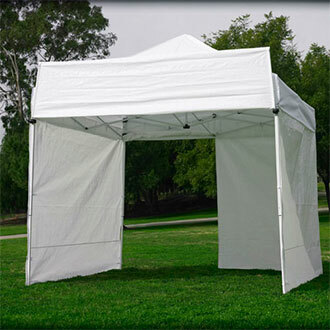 Note: Our canopies are a great way to provide shade for your event and keep a light rain at bay, but they are not water proof nor designed for keeping your event free of water from heavy rain showers. The price listed above is for setup on grass. Should we not be able to stake them down, there is an additional $10 fee for canopy weights. If you are in need of tents for your event, we recommend Sammy's Rentals for great service and value.